It was supposed to be an opportunity to showcase Argentina’s soccer prowess and escape the gloom of a spiraling domestic economic situation, but a championship match between two cross-town rivals from Buenos Aires was suspended Saturday after fanatic supporters of River Plate attacked a bus carrying members of the rival Boca Juniors. 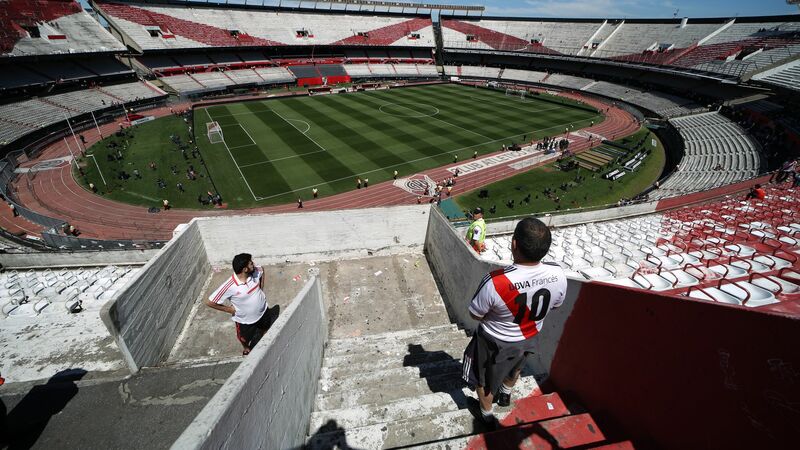 Numerous players were hospitalized, and to avoid further violence the final will now take place outside of Argentina. Why it matters: The mishandling of security around the event, where violence was widely expected, comes at a delicate moment for Argentina and its president, Mauricio Macri. Elected in 2015, the business-friendly Macri swept into office on the promise to revitalize a struggling economy after decades of mismanagement by his far-left predecessors. Three years in, he’s attempting a careful balancing act between his domestic and foreign audiences, amid an economic crisis that has seen Argentina fall into a deep recession. Investors are watching carefully to see whether Mr. Macri has enough mettle to implement reforms, while voters at home fear the pinch of further cuts to government programs that help them make ends meet. Macri’s approval rating stands around 36% today after dropping about 30 points over the past year. Suffering a setback at home, Mr. Macri is also preparing to welcome the leaders of the world’s largest economies to Argentina for the annual G20 meeting this weekend. Macri intended to use the high-profile summit to reassure foreign leaders and investors that Argentina fundamentally remains a good bet. A toxic cocktail of sport and class rivalries has just made that a harder sell. Sign up for Signal, a thrice-weekly newsletter from GZERO Media, a Eurasia Group company.